To win one of the seven available packages, enter your information, and Like/Follow our social media pages to get more entries. If you’re already subscribed to our newsletter or following us on social media, you can still get more entries by clicking the actions in the widget. So click all the buttons you can and enjoy the fun! A perfect stocking stuffer, this four piece ArtResin set is exactly what you’ll need to add resin to your acrylic pouring process. This set is the perfect collection to give you a taste of what it’s like to work with ArtResin products. 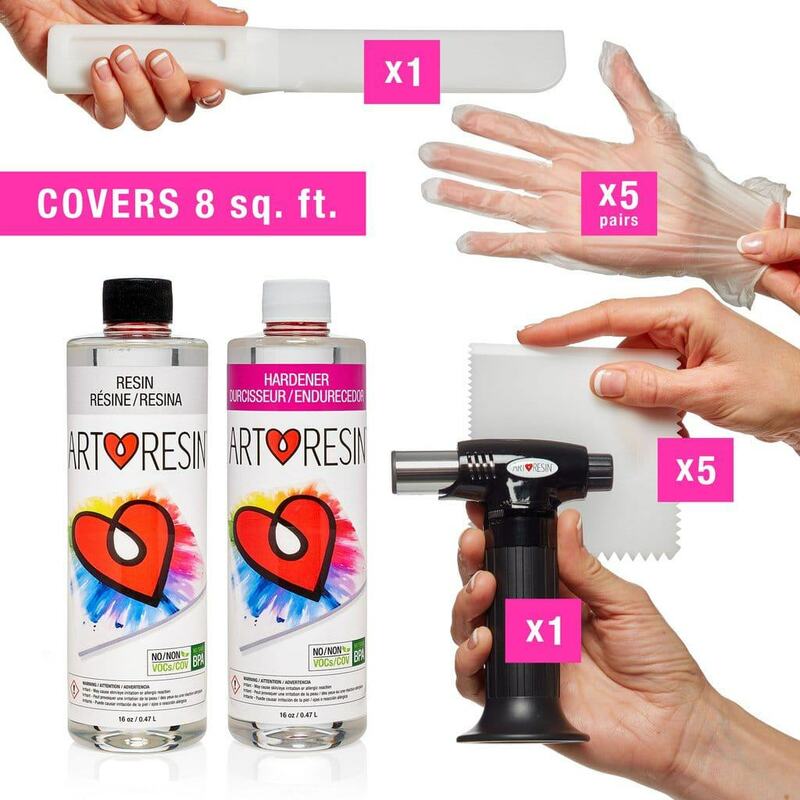 This multi-piece combo kit provides you with everything you need to seal pour after pour with that perfectly glossy ArtResin finish. With this kit you’ll be able to finish multiple pours with high quality resin and keep waste to a minimum with their reusable spreader and pack of mixing sticks.